Unger’s SmartColor™ cleaning system helps keep cross contamination risks to a minimum by isolating dirt and maximizing usage of the cleaning solution. The end result is a highly efficient floor cleaning process that makes a significant impact on disinfection and cross contamination prevention efforts. Look for the SmartColor™ identification on our floor cleaning products! 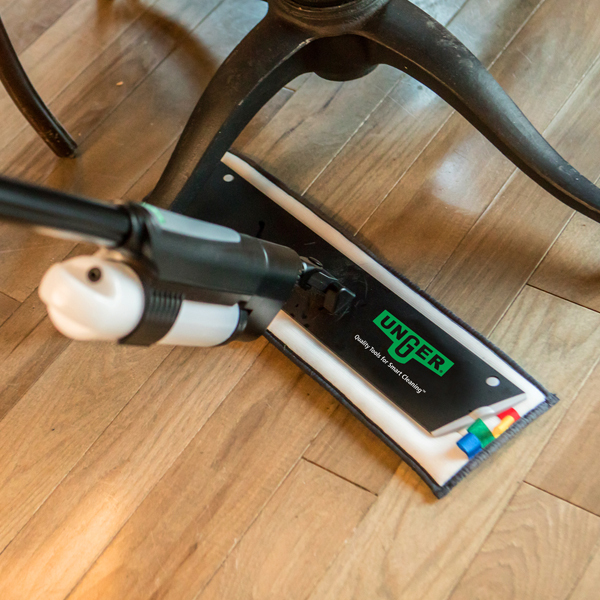 Unger Excella™ Floor Cleaning System independently verified as the fastest floor cleaning method. The Unger Excella floor cleaning system combines dual-swivel handles and a self-guiding S-curve pole, providing a mopping system that is “self-steering”. The floor care kit system is the first one available that includes both a height adjustable pole and the ability to dispense liquid from the bottle on board. This combination of features provides dramatically faster cleaning with less strain, stress, and effort than any other mop currently available.Unger Excella™ floor care kits are suitable for use on all hard floor surfaces and for spot mopping, wet mopping, dusting and floor finishing applications. A .5L bottle, 1L bottle and 5L backpack allow you to scale your floor cleaning to match the environment. Floor care kits options are available to fit your specific floor care needs! 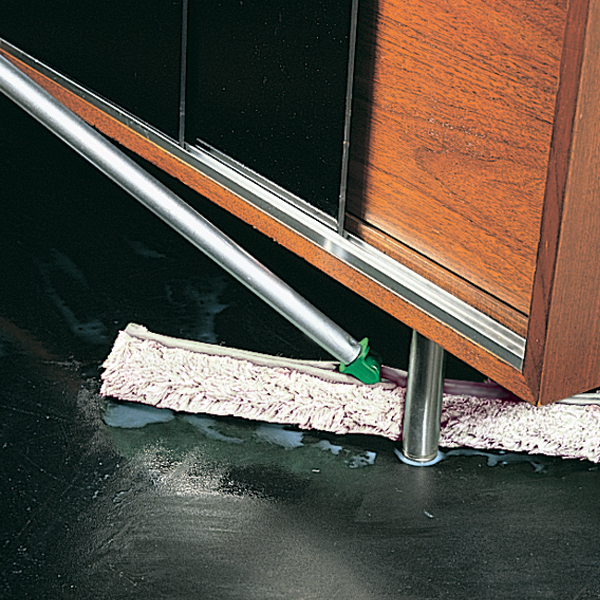 Find all the tools you need for efficient water removal on all your floors and surfaces. 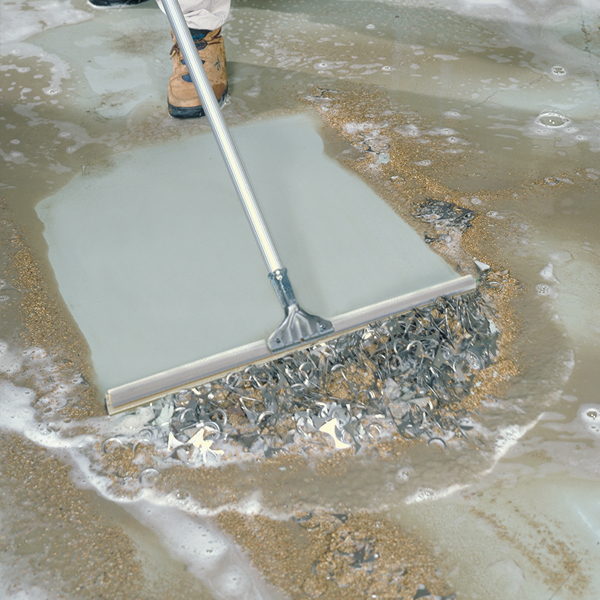 Unger offers a selection of squeegees with pivoting channels for light or medium industrial applications, and WaterWands use a flush-and-rinse design to remove water easily from grouted tile or non-slip surfaces. Our color-coding system prevents cross-contamination. With these ergonomic tools, your custodians will be able to keep floors drier and cleaner than ever.